When I was in grade school, I fell in love with Christopher Columbus, the early explorer and navigator. He sounded so adventurous – a man who sailed the high seas, braving storms and seasickness as he made his way to the New World. 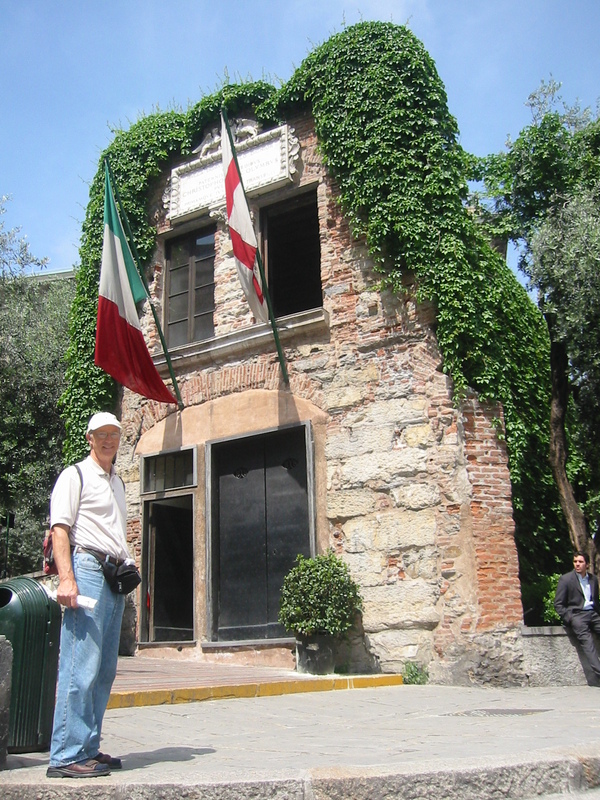 So when I had the opportunity to stay in Genoa for a few days, knowing this was his place of birth, I was ready to do my own exploring. 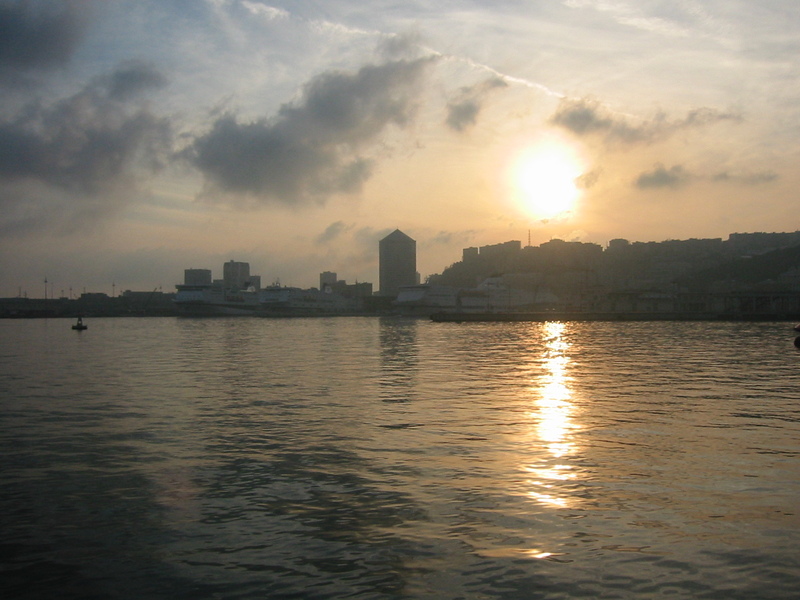 Genoa is famous for several reasons, one of which is the magnificent harbor, the Porto Antico. It is a real network of wharfs, piers and board walks backed by tall commercial buildings and stately villas. This harbor has quite a history. It was the center of ancient trades from 400 AD up to the Middle Ages, reaching the height of power in 1100. 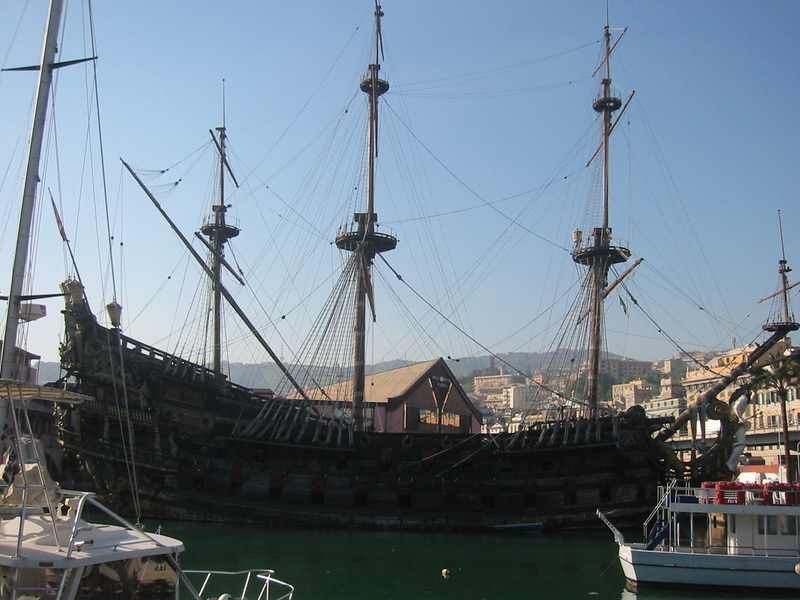 By then Genoa prospered as a major Maritime Republic through trade, shipbuilding and banking. As the most powerful navy in the Mediterranean, Genoa controlled the sea. As I walked around the harbor, it was easy to imagine mighty ships bedecked with flags and surrounded by a bustle of boats coming and going on the sea lanes. Turtles, turtles everywhere! The pool was swimming with them. It must have been a recent hatching. They kept crawling out only to slip back into the water, attracting a lot of attention. 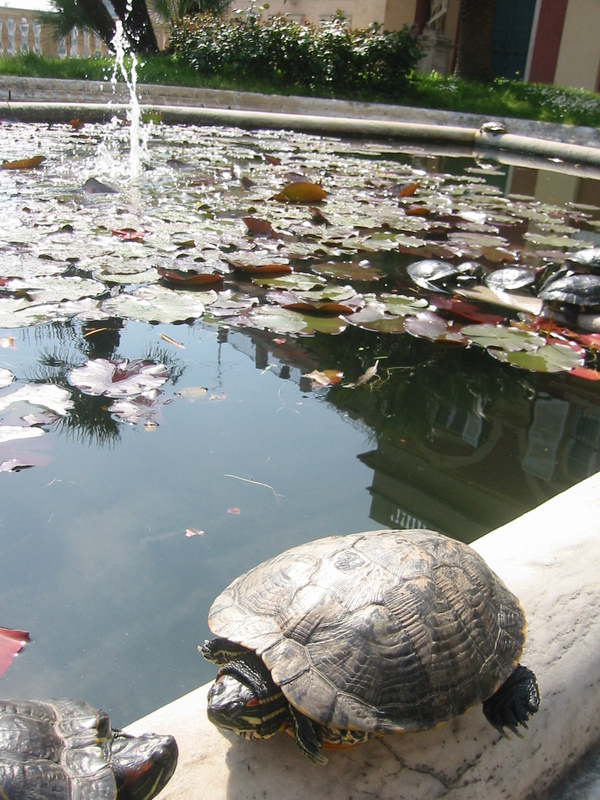 Aristocratic Turtles Conversing while Sunbathing–AND balancing on the pool rim! 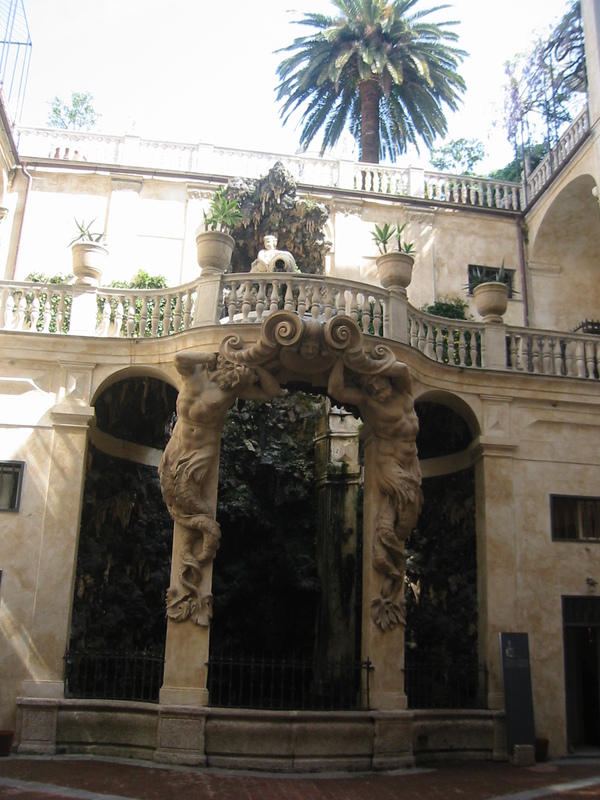 The Palazzo Reale is a large aristocratic residence which has been splendidly decorated by three great Genoese dynasties. The Balbis built it between 1643 and 1650, afterwards passing to the Durazzos, who decorated it between the end of the 17th to 18th centuries. Finally the Savoy dynasty of the 19th century put on the finishing touches. Impeccably dressed and highly maintained, the palace is a pleasure to walk through. 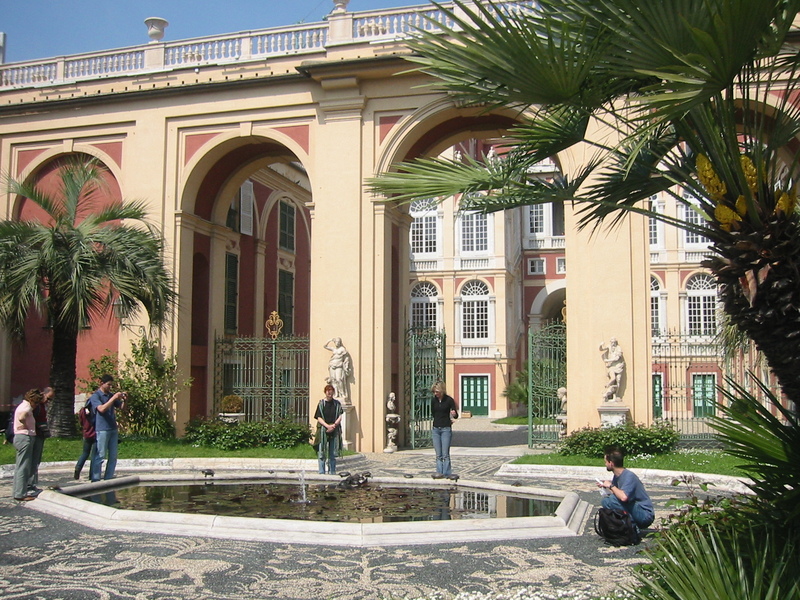 There are over 100 paintings in the palace, most by 17th century Genoese artists as well as frescoes by some of the most important Baroque and Rococo artists of the time. 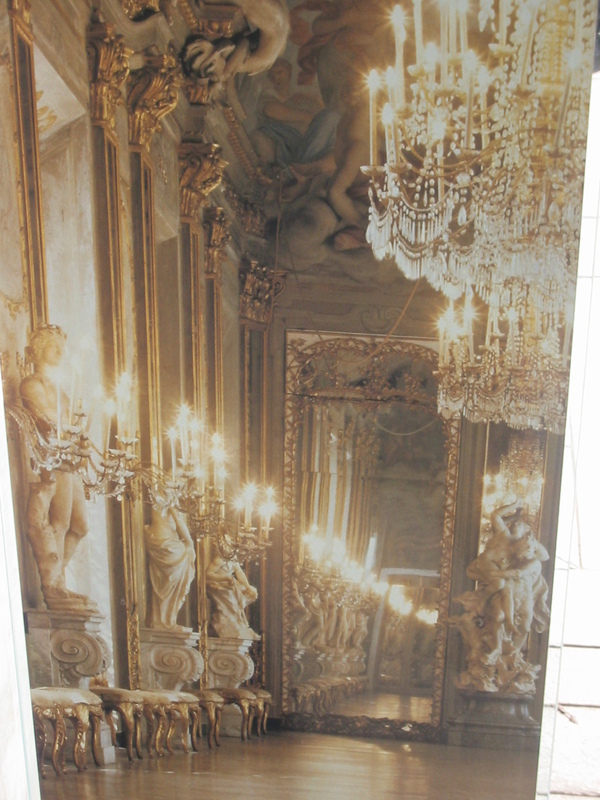 The dazzling Hall of Mirrors in the Palace. It made me think of Phantom of the Opera. 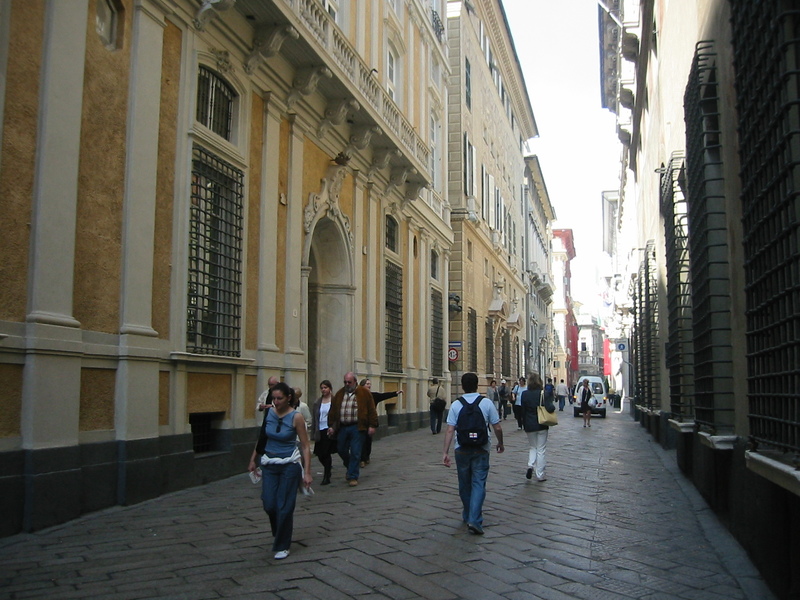 Via Garibaldi is Genoa’s old wealthy district with stately mansions. I enjoyed strolling up and down this street numerous times. 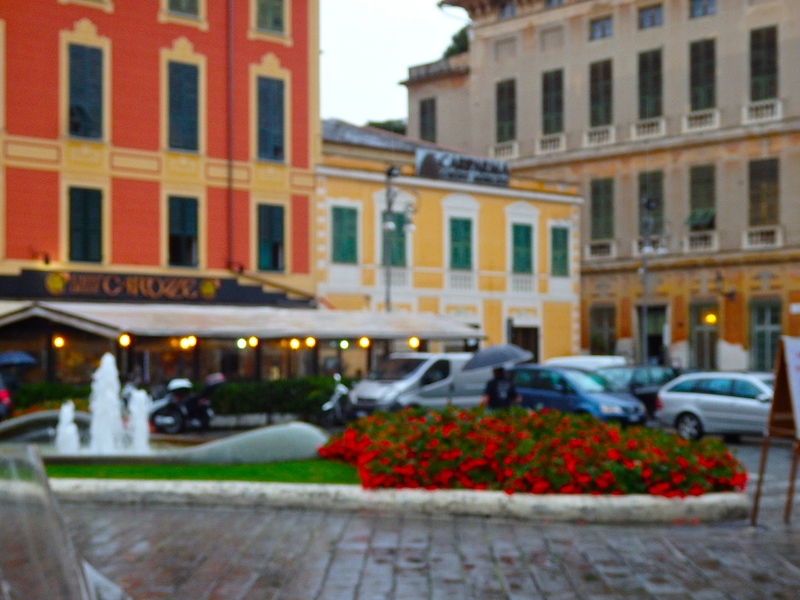 Piazza Raffaele de Ferrari is famous for its magnificent fountain. 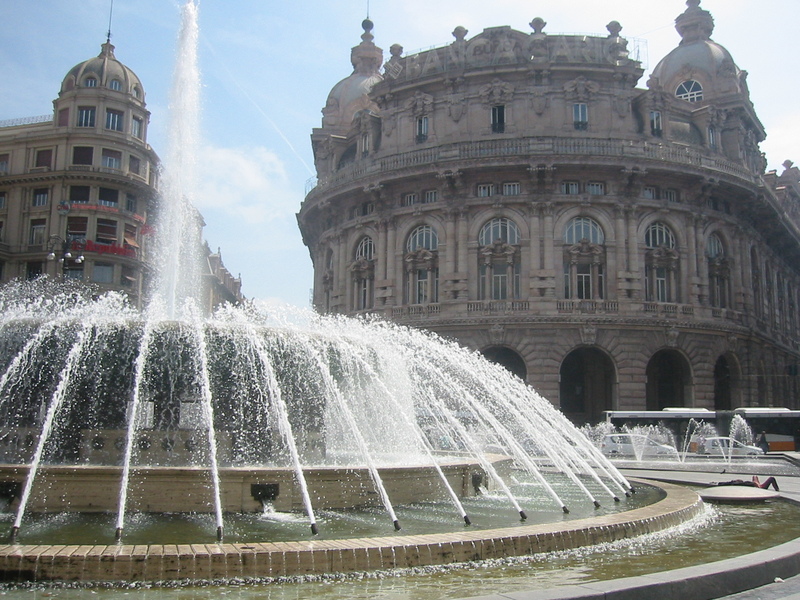 As the main piazza of Genoa, it is the financial and business center of the city. Armed police are stationed outside the banks. Christopher Columbus supposedly lived here. Overgrown with ivy, what’s left of his house is just outside the medieval district. 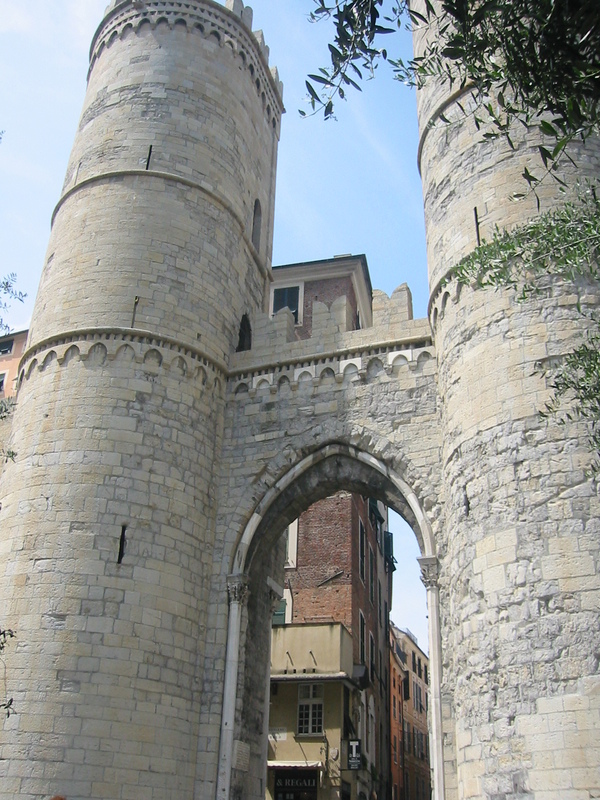 12th century Torri di Porta Soprana is the gateway to the old medieval district of Genoa. Some of the ancient outer walls are still standing. Cobbled streets inside the medieval district. Notice the dip and sway of the street. Several churches in this area had similar floors. Many feet have pitter patted over them down through the centuries. 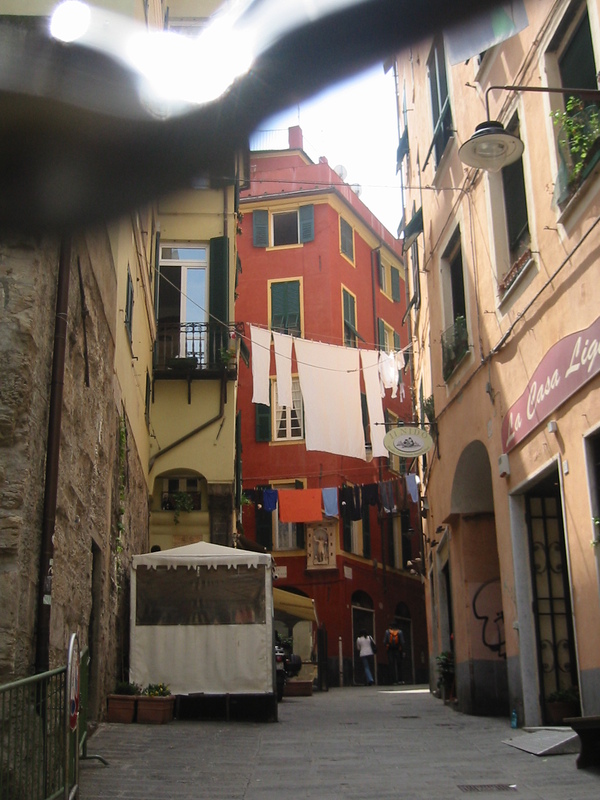 Genoa is a modern city with a lingering presence of past generations. The medieval center is remarkably well-preserved and not to be missed. 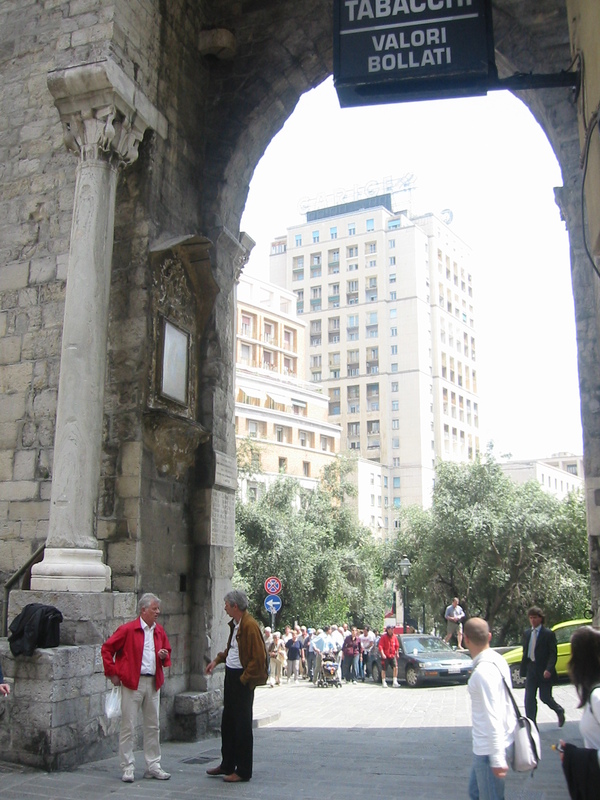 The striking contrasts between old and new is strongly evident throughout the city and a delight to explore. Charles Dickens summed up the city of Genoa very well in his quote..
Italy’s Annual Sailing Regatta is Underway. 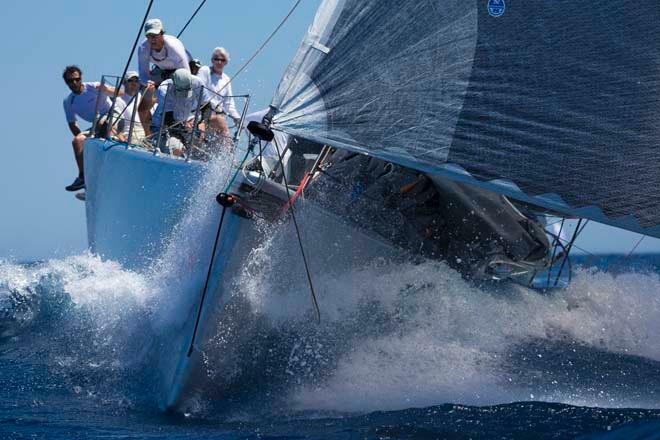 The 62nd annual Giraglia Rolex Cup prelude race began at midnight last Friday, June 13th, sending 107 Yachts sprinting across the dark waters from Sanremo to Saint-Tropez. A French yacht piloted by former Whitebread Round the World Race winner, Lionel Pean, was first to cross the finish line Saturday morning. 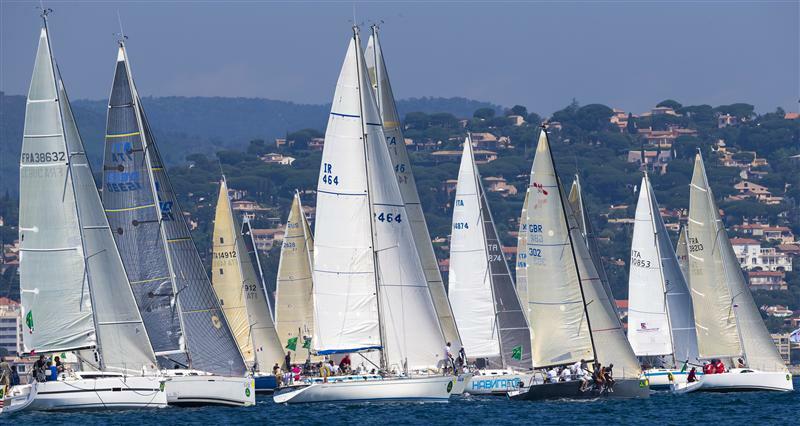 The following three days will consist of inshore racing in Saint-Tropez harbor, leading up to the most challenging race of the event. 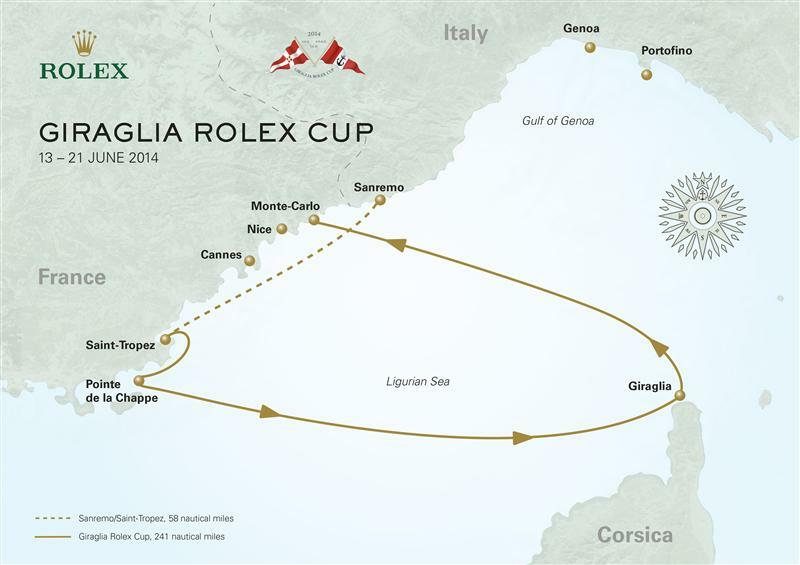 Wednesday, June 18th will set some 214 yachts in motion as the renowned 2014 Giraglia Rolex Cup begins. 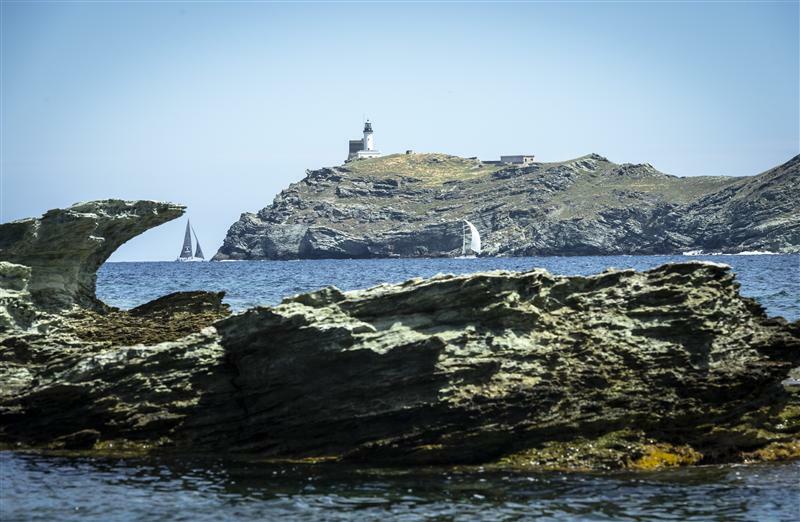 Leaving the harbor of Saint-Tropez, the 241 nautical mile offshore race will circle the traditional landmark Giraglia Rock on the northern tip of Corsica before ending in Monte-Carlo. The crew members are a mixture of nationalities predominately from Europe. 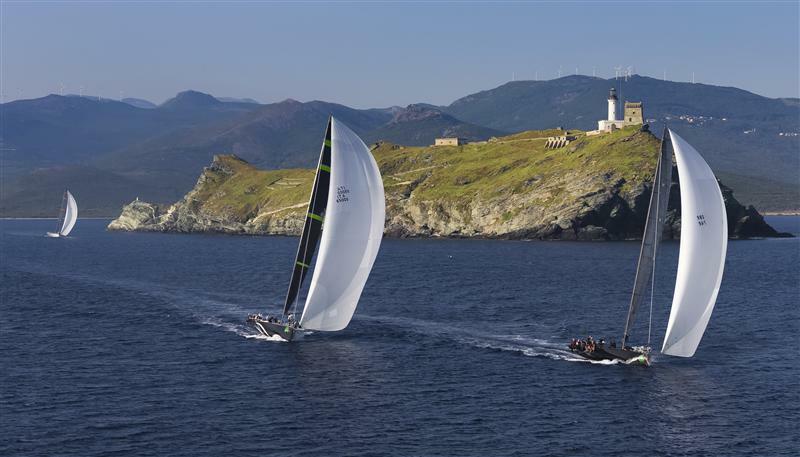 Italy is best represented, followed by France, the UK, and Russia, with more exotic flagged yachts from the British Virgin Islands, the USA, and New Zealand. Holding a longstanding reputation of close comradeship and spirited competition among the opposing crews, the annual regatta is highly respected. The fleet is mixed, from small 30 ft. family run boats up to 100 ft. professional crews, all of whom dig deep within themselves to deliver their best seafaring skills. Each team must work together as a single mechanism, adhering highly to the core values of camaraderie and adventure. Strong character is built by adverse sea conditions. The Giraglia Rock on the tip of Corsica has long been a landmark for Mediterranean boats crossing from the Ligurian to the Tyrrhenian Sea. In January of 1953, a small number of Italian and French sailors convened in Paris to create an event that would foster a highly esteemed sailing competition in the Mediterranean and draw European countries closer together after the effects of a war-torn world. 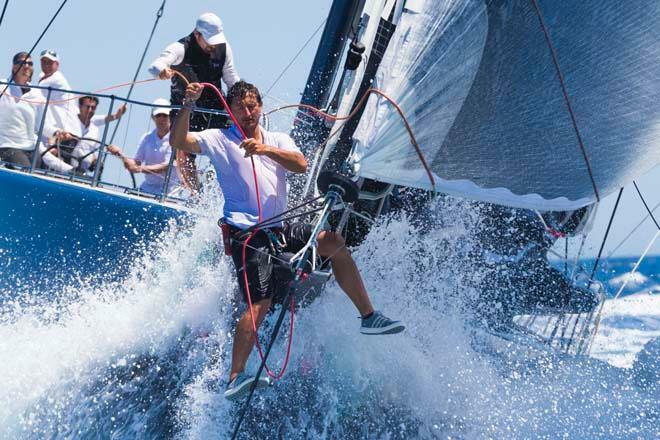 It only took five months to bring about the first La Giraglia, which was exclusively off-shore racing. 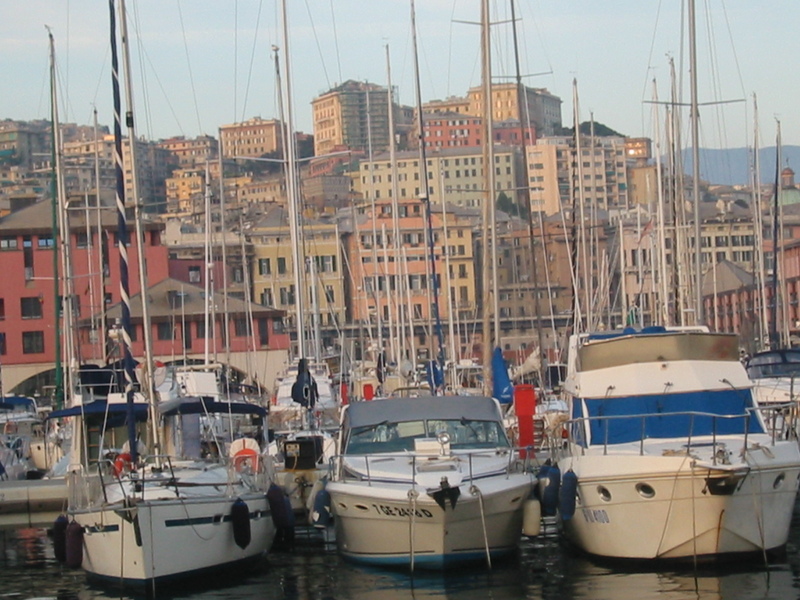 Traditionally, Italy and France alternated in starting the race, but now it generally begins in Genoa or Sanremo. What’s most exciting about this years race? Slovakian Igor Simcic, the 2012 winner and new course record setter, will return this year with his 100 ft Maxi Esimit Europa 2. He finished with a time of 14 hours 56 minutes and 16 seconds, taking over 3 hours off the previous best. He will be accompanied by his pan-European crew led by German Olympic hero Jochen Schümann. Will he beat his time this year? So far it looks tame doesn’t it? Smooth sailing, glide with the tide. Not so….take a look! 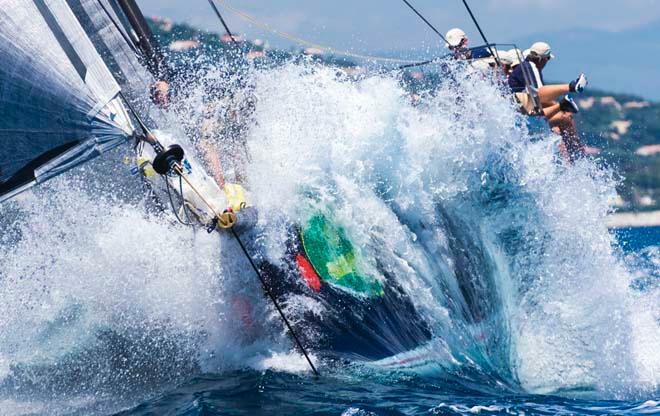 Photographer Carlo Borlenghi was out on the water during the 2013 Girgalia Rolex Cup to capture this gallery of images. 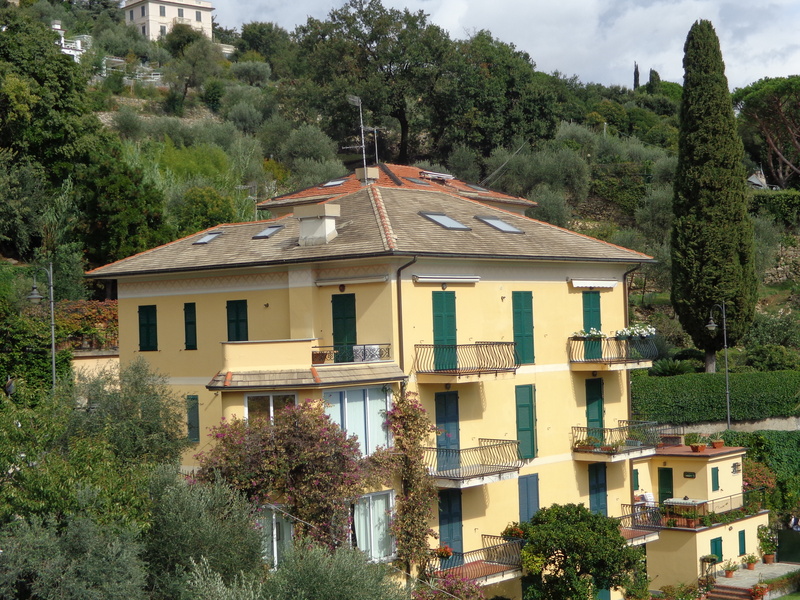 Enjoy some Sanremo fast action! It all boils down to the finish line. The winner will arrive, followed by the others as they skillfully man their crafts toward the shore. Electrified excitement will dominate the scene and continue into the celebration activities. 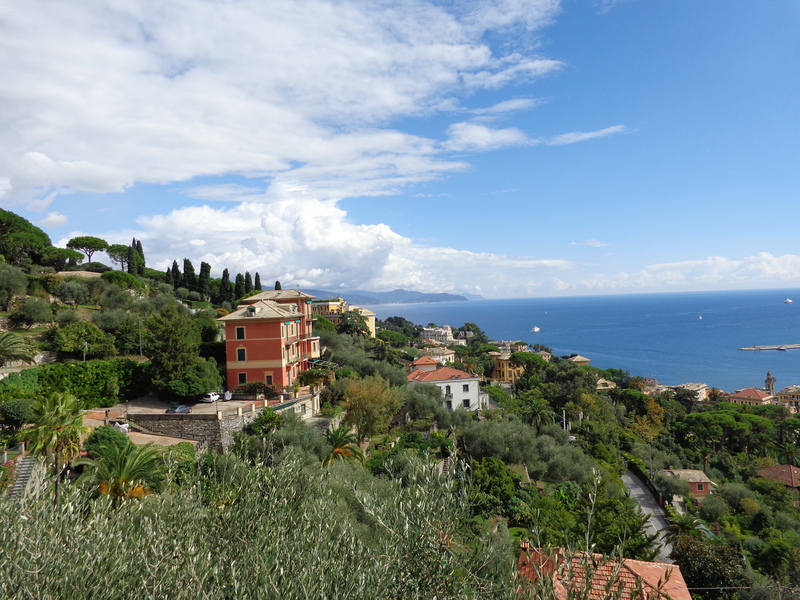 Soaking up the sun-splashed beauty of the Italian Riviera is time well spent. The coastline is scattered with quaint and friendly seaside villages, each one unique from the others. 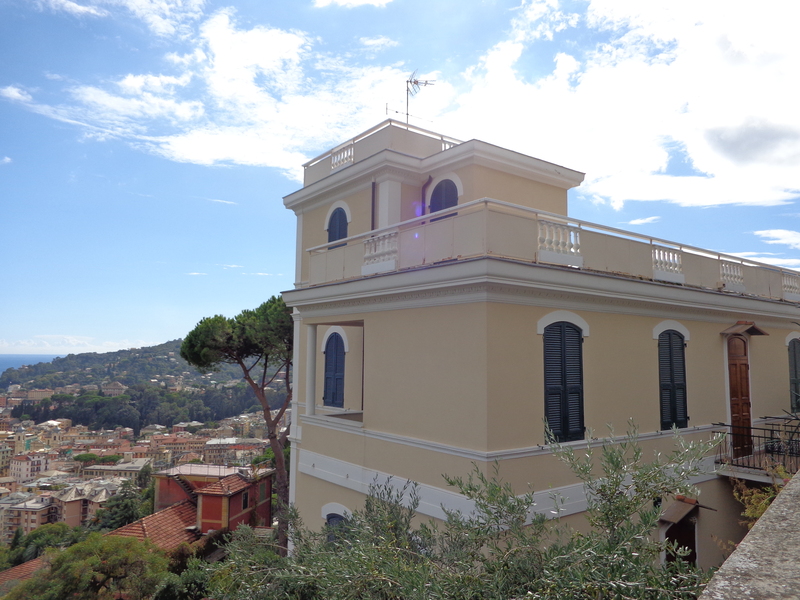 Tall stately villas painted in warm pastel colors rise to meet the sun. Light and shadows play on the streets, bringing a depth and texture that can only be found here. The Riviera has a style all its own. 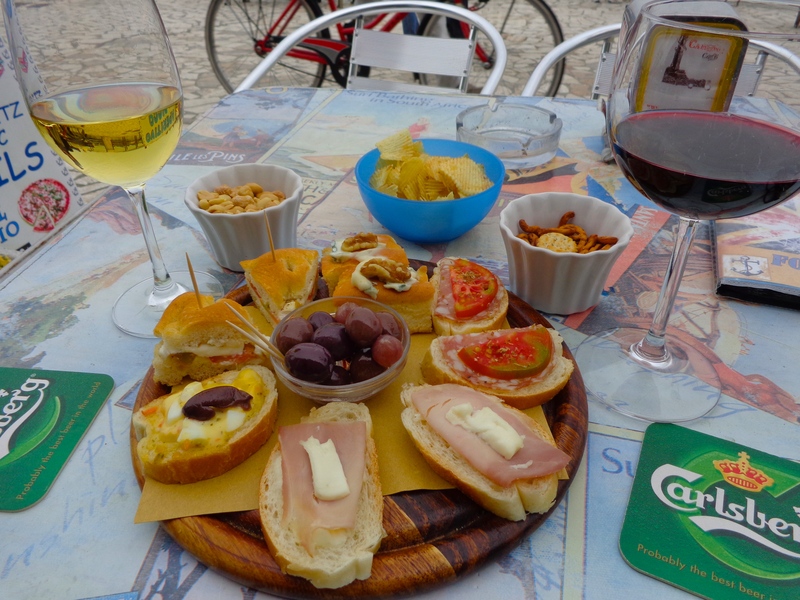 One late afternoon in Chiavari, a charming little town just south of Genoa, I found an outdoor table on the promenade. I had been wandering the waterfront and decided a glass of wine would be a perfect way to soak up the ambiance. You can imagine my surprise when the server brought my wine along with this huge plate of appetizers. “Complimentary,” he told me. Needless to say, it was delicious…and dinner never happened that evening! The stately promenade runs along the shoreline where a passigatta seems to be continually happening. 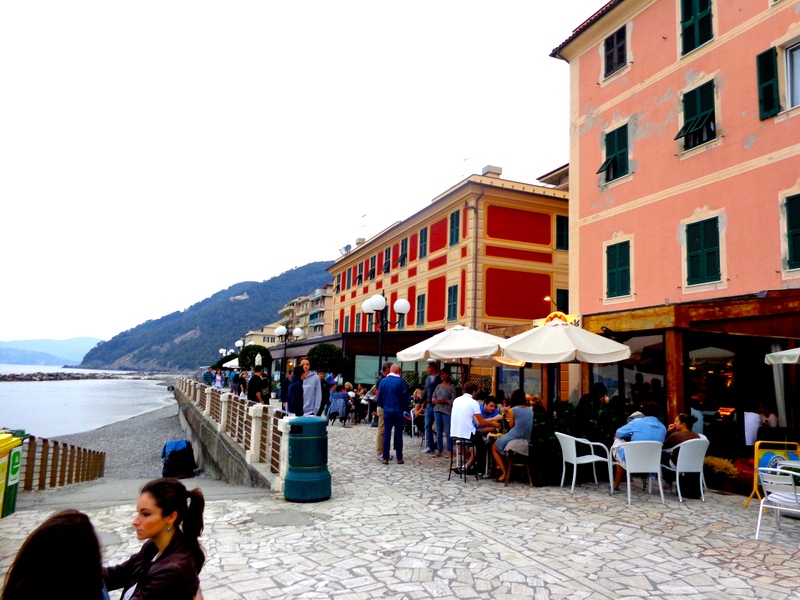 Chiavari’s wide, pristine beaches have been celebrated as a Blue Flag beach (very clean) since 1987. Sunbathers and boaters alike dominate the scene during summer. 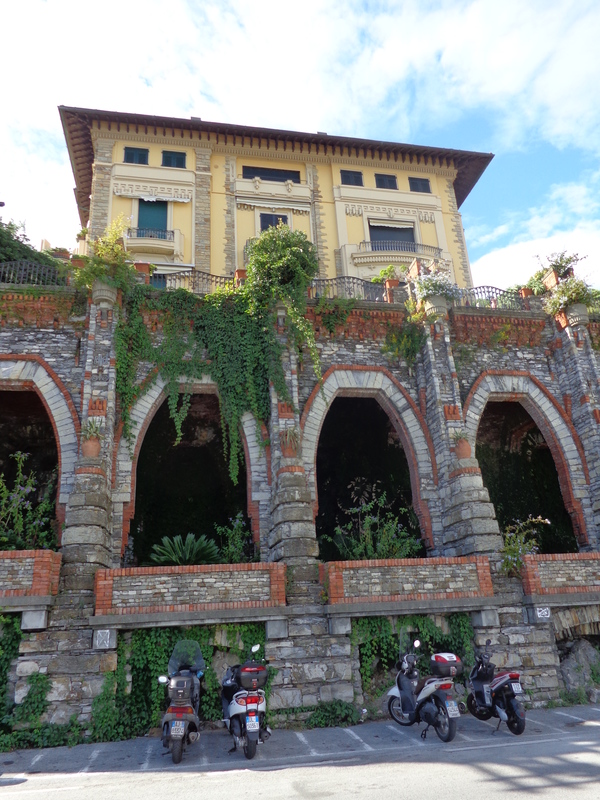 The village of Chiavari is very charming. 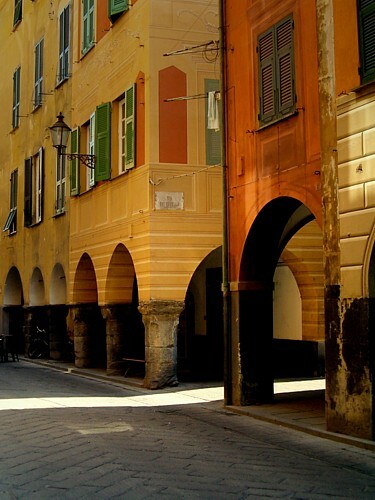 Colors of ochre bring a richness to the towering buildings. 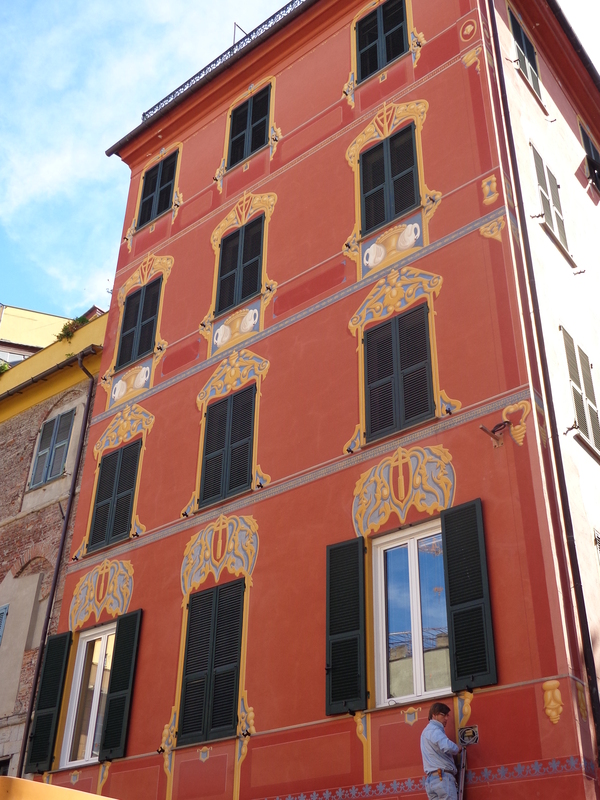 Many have elegantly outlined windows and painted on shutters. 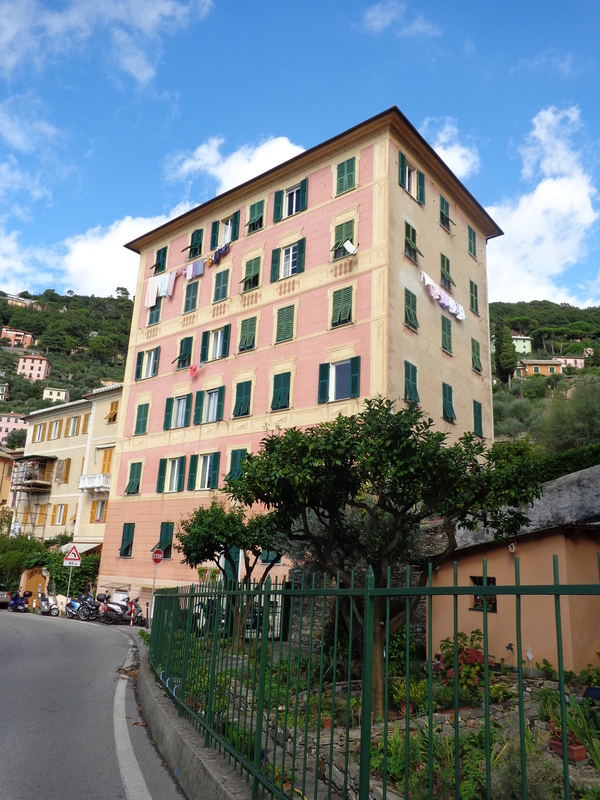 In fact, these painted houses are very common all along the Riviera. It seems likely that this practice was an effort to prevent glare from the sun off of white buildings. 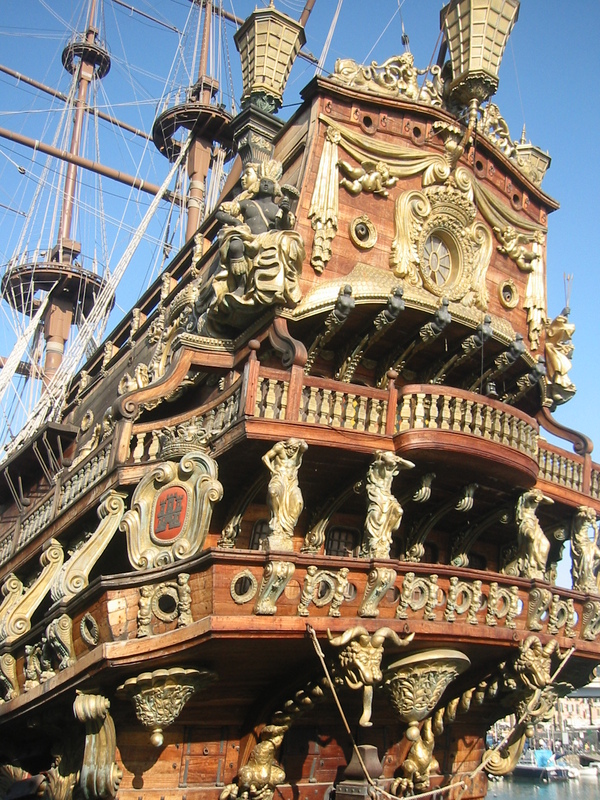 However, sailors may very well have appreciated the ability to identify their own homes from a distance. For over a hundred years, the warm Mediterranean climate attracted celebrities from central and northern Europe and Russia as a place to escape the drab and rainy weather of home. 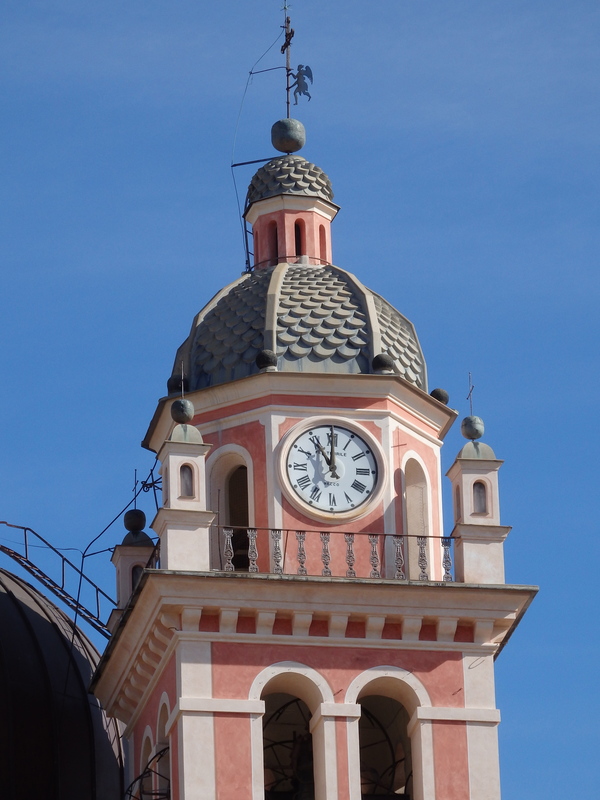 In the historical center of town, arcades and buildings date back to the 13th century. 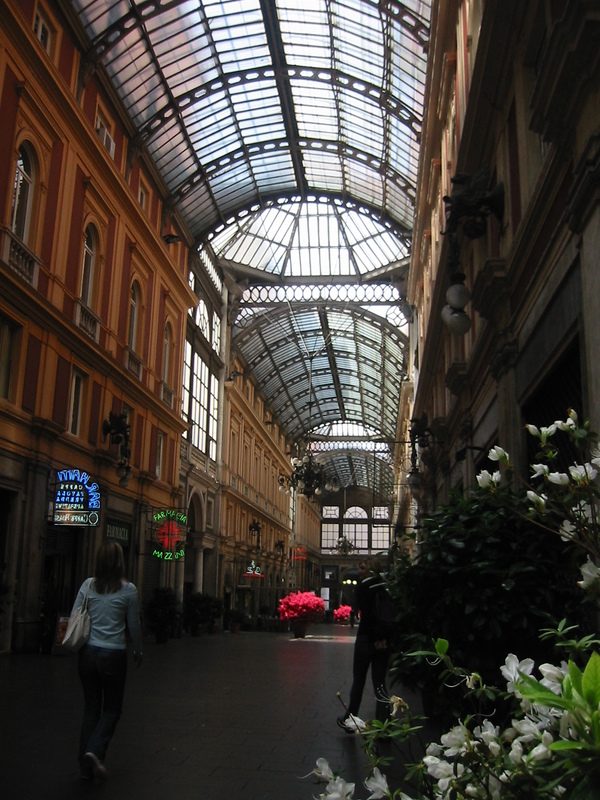 As I walked underneath the long rows of arcades, I noticed the width and height very dissimilar as I passed by. Many of the support columns were of different shapes and sizes. Chiavari was for centuries an important commercial port. Hundreds of commercial businesses conducted a variety of activities under these old arcades, some of which still exist in hidden places. 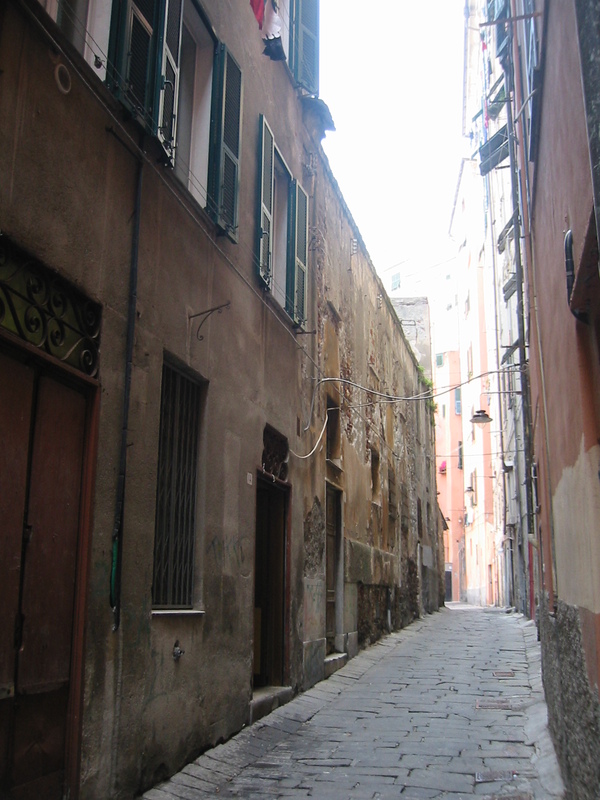 The Genoese streets are perfectly straight and cross each other at regular intervals. 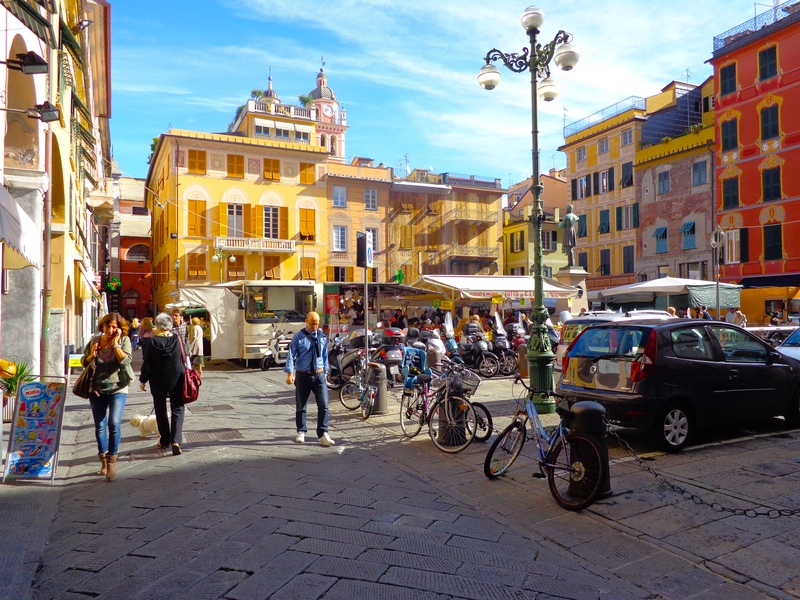 Often in Italian towns, streets become a maze for lack of an established plan. 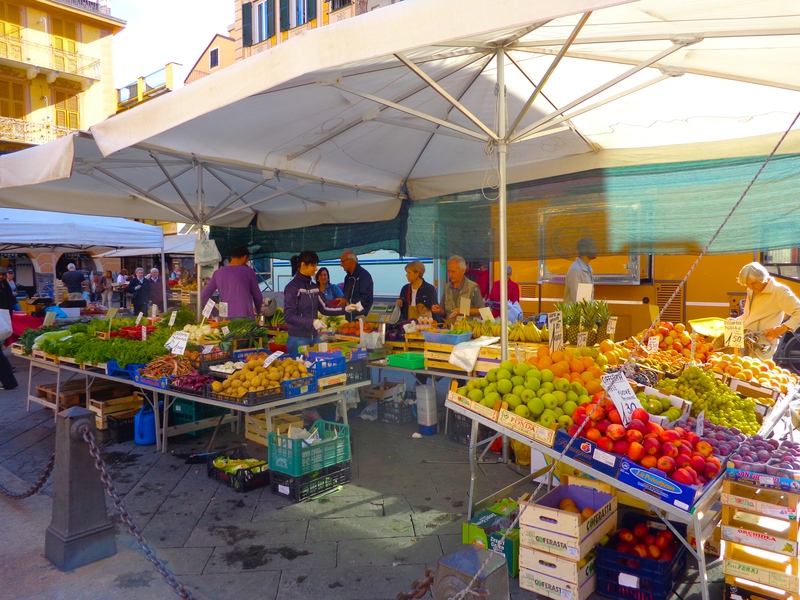 But here in Chiavari, the layout is very definite and precise. 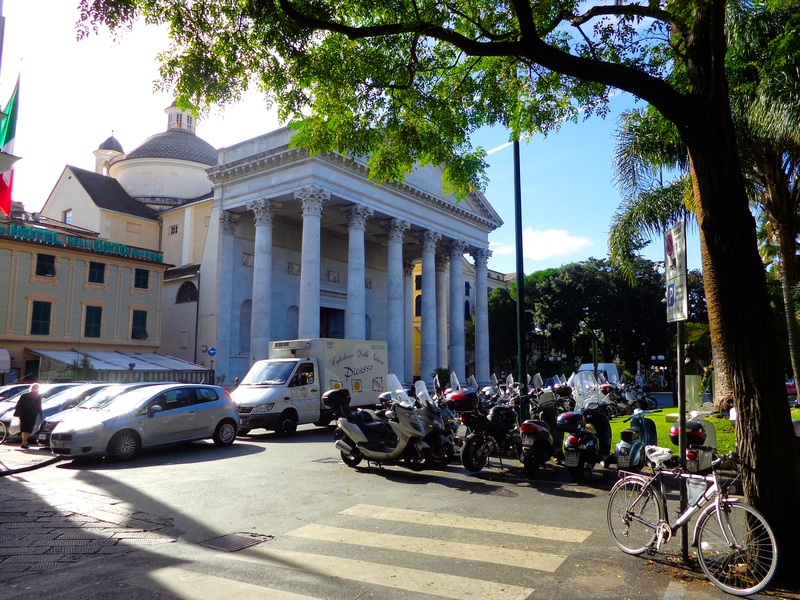 The lovely Genoese palaces that line some of these streets add a sense of palatial elegance. 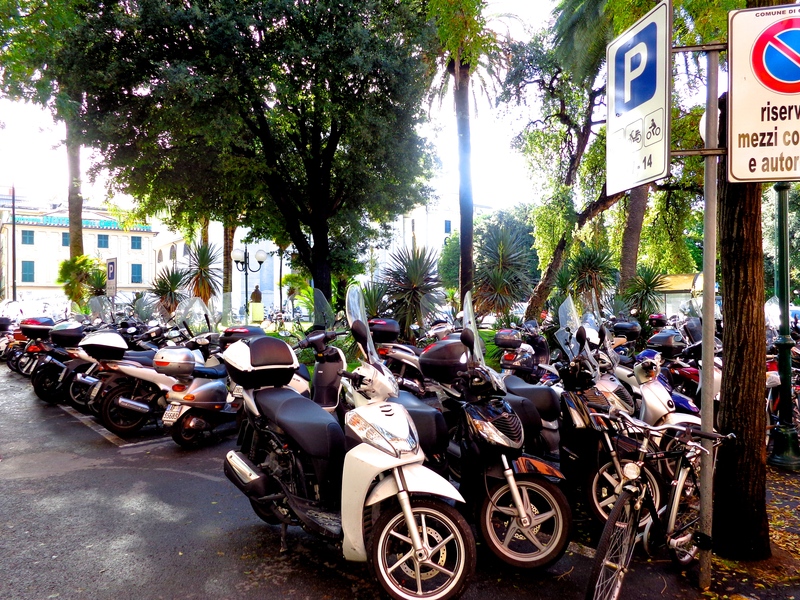 Every conceivable spot was taken in the motorcycle park located a few blocks toward the center of town. 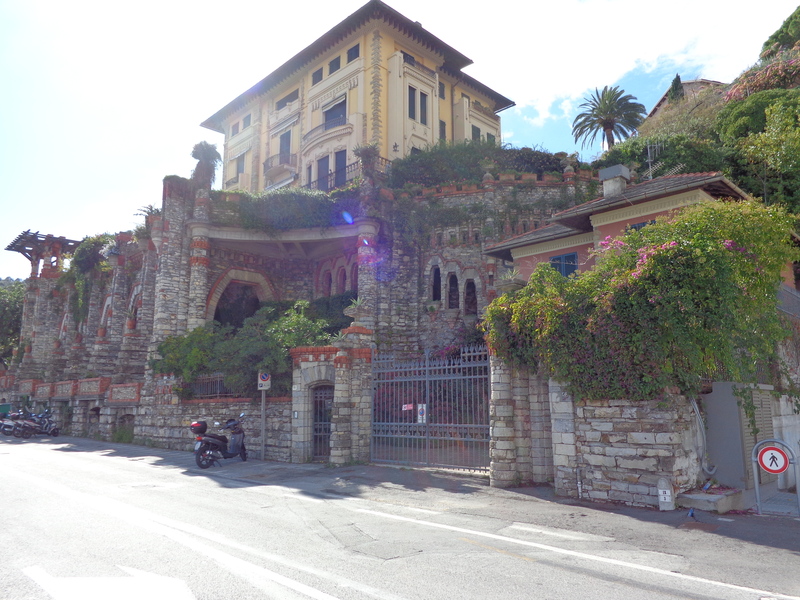 The roads all along the Riviera are narrow and winding. I can understand the need for small speedy transportation. This Sanctuary was built between 1613 and 1633 by Leoni Cesario Marro. It was entrusted to the Carmelite monks until they left in 1797. Inside are several valuable pieces of artwork dating from the mid-1600’s. 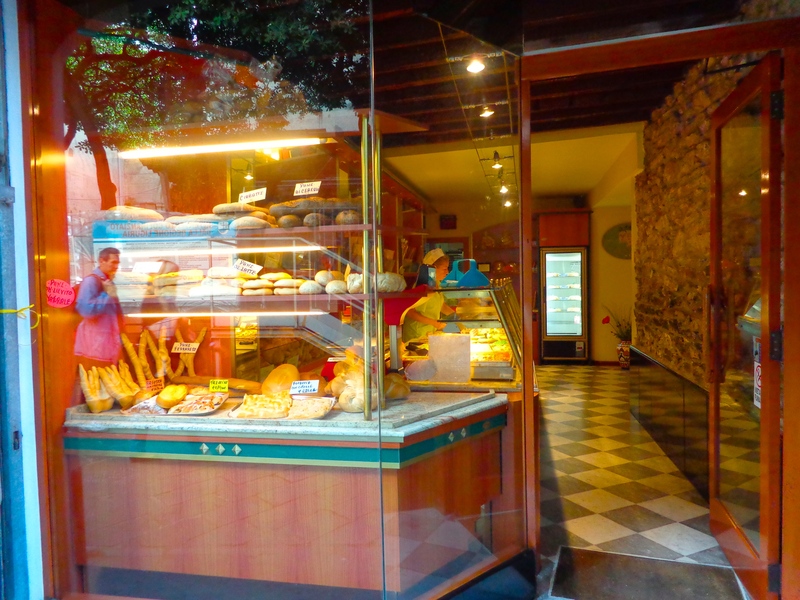 This bakery put Chiavari on the map for me as well. My prosciutto, mozzarella and pesto panini was delicious and I shamelessly devoured it in no time at all. 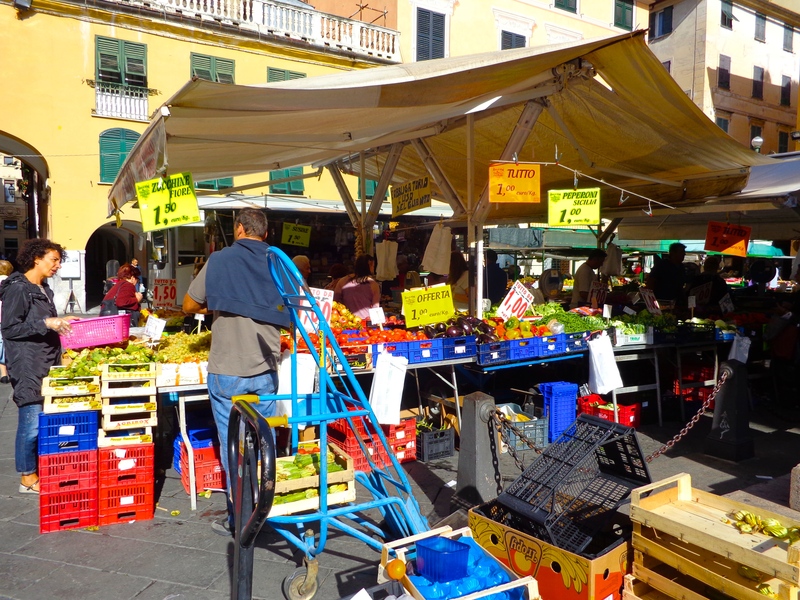 Chiavari has a thriving outdoor market community. 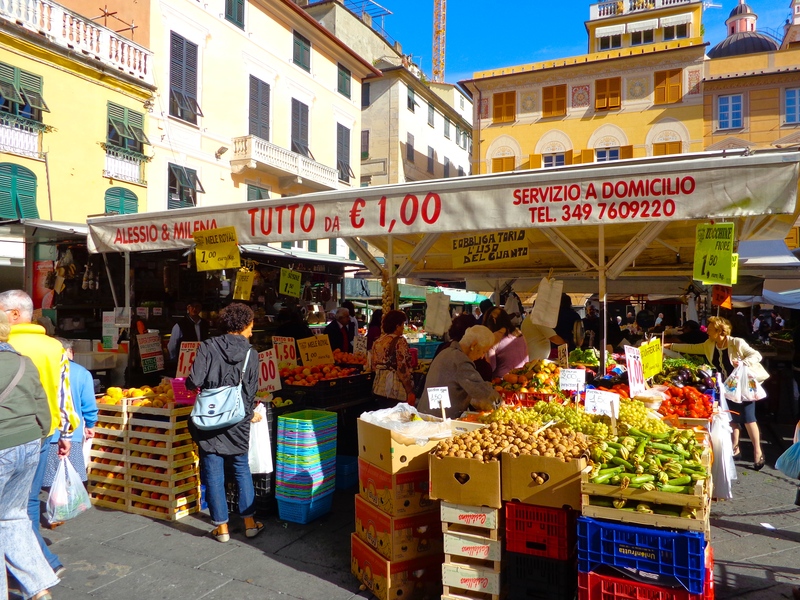 Like a hive of bees, locals and tourists alike gathered tightly about the tables, picking and choosing brightly colored fruits and vegetables, hearty slabs of cheese, fresh sliced salami and meats, bread, honey and many other desirable items. Vendors gave generous portions of samples. I snagged myself a hunk of white cheese that was delicious. As soon as boxes were emptied, they were immediately refilled by the merchants who kept more piled underneath their tables. 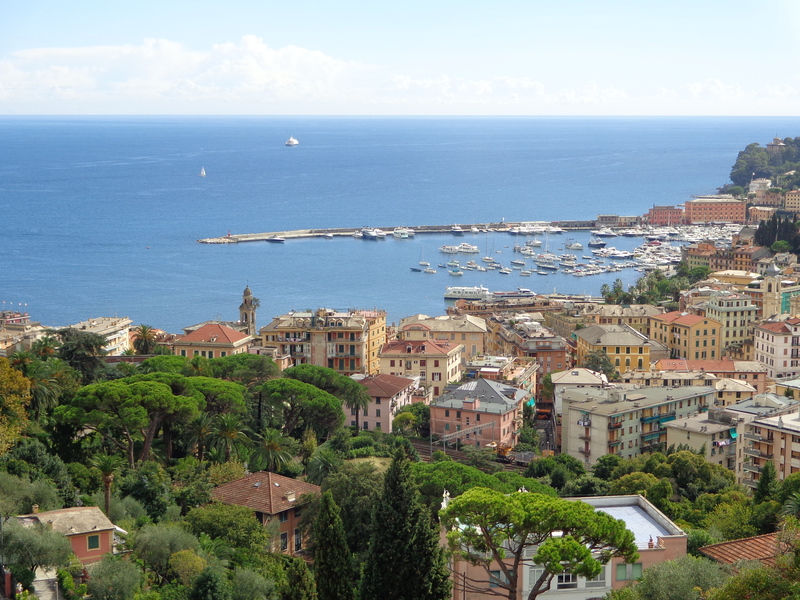 Chiavari is a haven of rest and relaxation in an exotic locale. 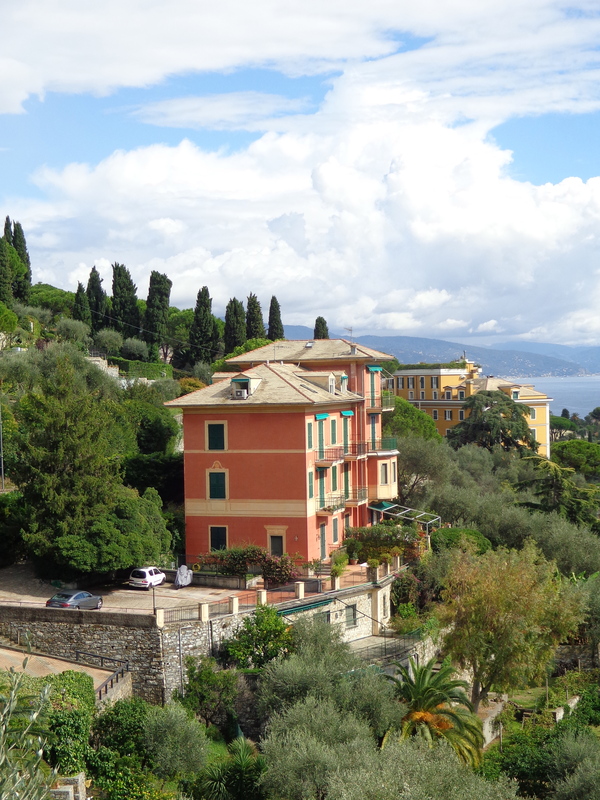 The palm-lined seafront and winding medieval streets both lead to new discoveries that reveal the heart of the Italian Riviera.